From a UX point of view, pre-loaders are important and set the right expectation by letting users know that something is happening such as the data is being fetched from the server or some other more computationally intensive operation is taking place. 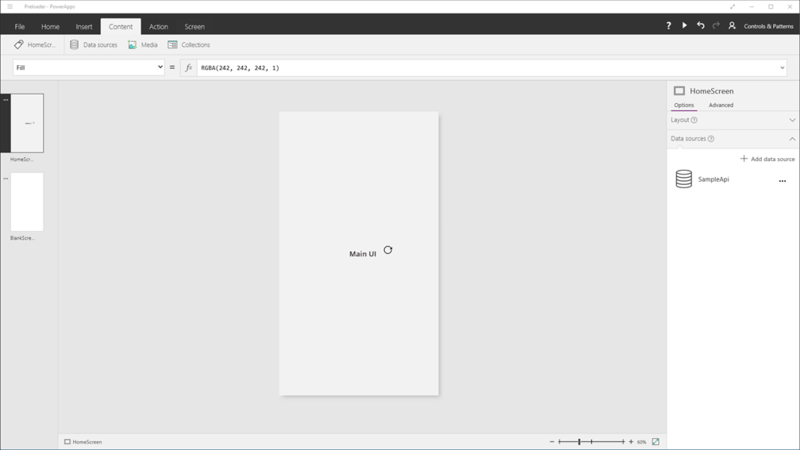 In what follow, we will show how we can implement a pre-loader in PowerApps. Let’s assume this is our main UI. We will build our pre-loader on top of it. Here we are simply declaring a variable called showLoader and we are setting it to true initially. We can now make an API Call followed immediately by another UpdateContext where we set the showLoader variable to false. This last statement will only happen until my API call is done. Because Visible is set to showLoader, when we first load the screen, the preloader overlay will be visible but it will hide as soon as the API call is done since we set showLoader to false.